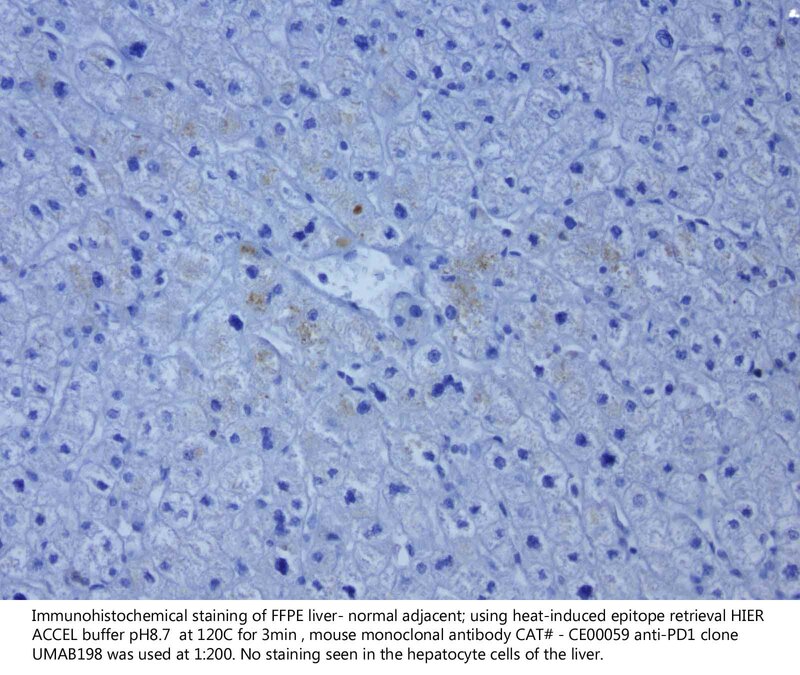 OriGene Tissue Control Slides for immunohistochemistry are guaranteed to detect the protein target as listed. Control slides are prepared using human tissue that has been collected, tracked, maintained and processed with the highest standards. The tissue is embedded in paraffin blocks, cut at an optimal thickness, and placed on an unbaked SuperFrost® Plus Slide. Allow 7-10 business days for delivery. 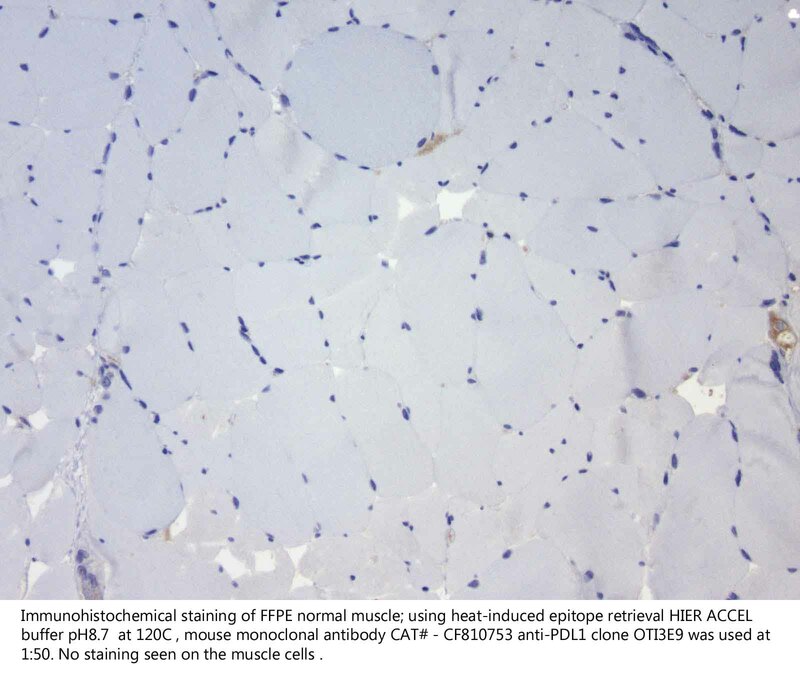 All control slides are serially cut from blocks of human tissue. Tissue section placement is in the middle of the slide. Slides are not intended for quantitative purposes. Slides are QC’d for IHC methods and we guarantee antigenicity. 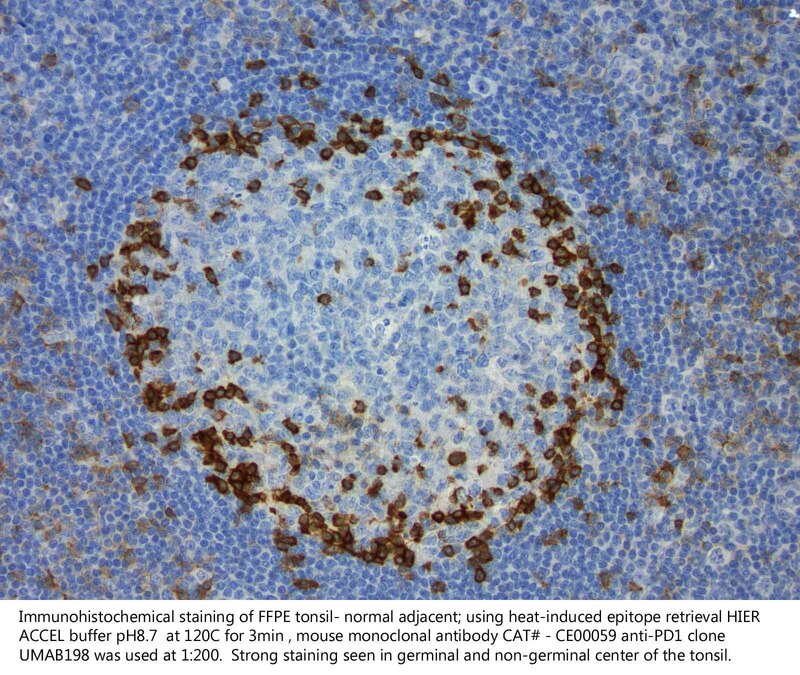 IHC staining of each tissue was performed using OriGene's highly-specific antibodies against human proteins. We provide the slides unbaked. We recommend that you bake the control slides(s) according to your standard laboratory operating protocol. Baking control slides in your lab will generate uniform staining across experiments and prevent inherent variables from equipment, technology, and protocols that vary from lab to lab. 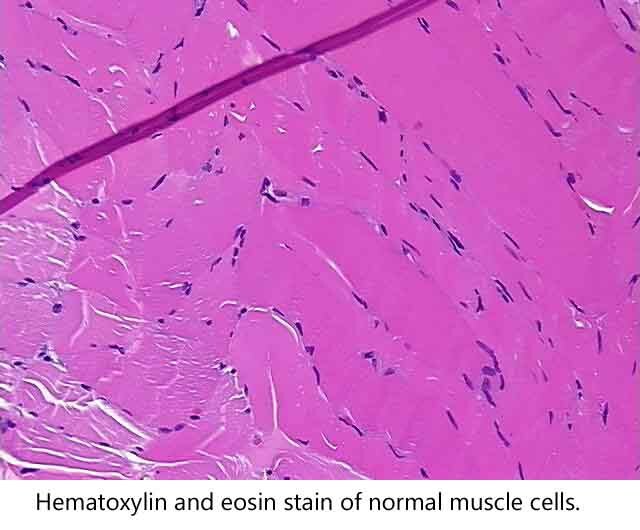 Tissue Control Slides are not guaranteed for other markers that may or may not be represented on the control tissue slide. Antibody screens or stains are only meant to be used for research use only. 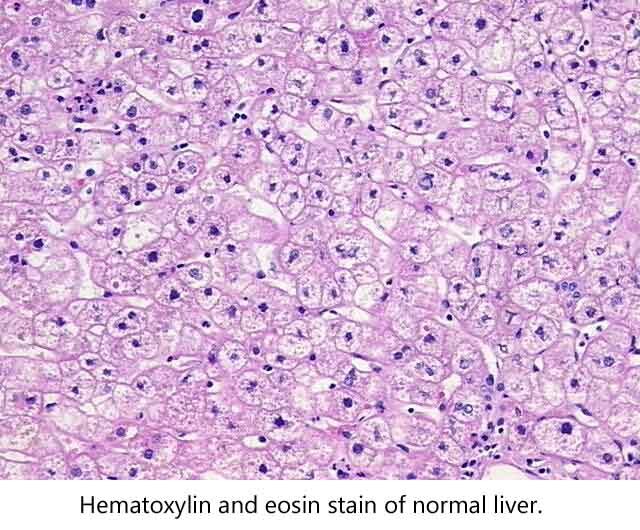 Final decision on antibody screen or staining of tissue should be based on stain, or antibody manufacturer data sheets and input from a pathologist. 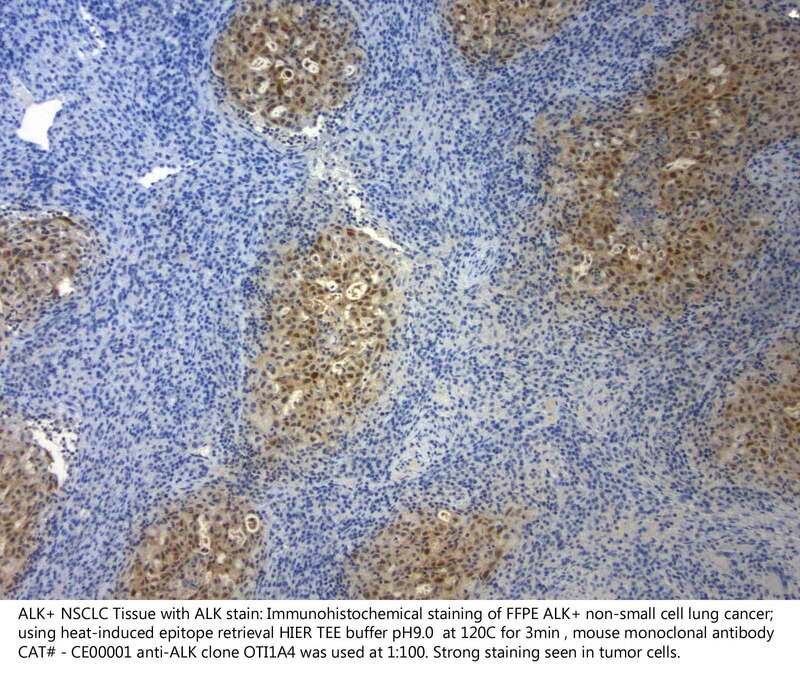 Use unstained tissue sections with antibodies validated for IHC! 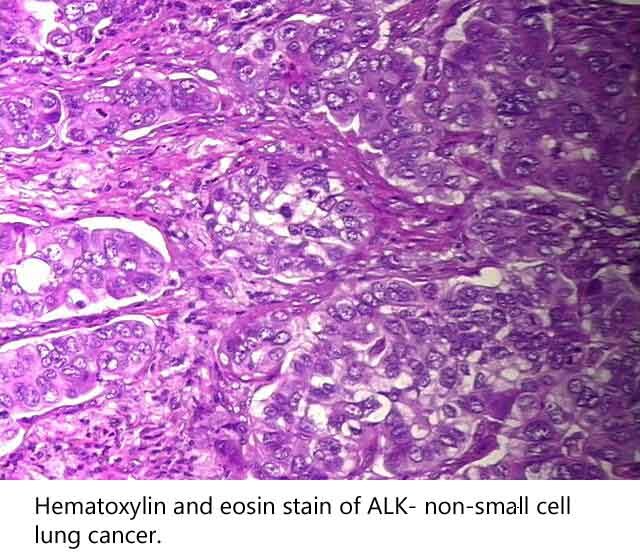 ALK Positive ALK positive tissue 4um section mounted on unstained slide. Available in sets of 2 or 5 slides. 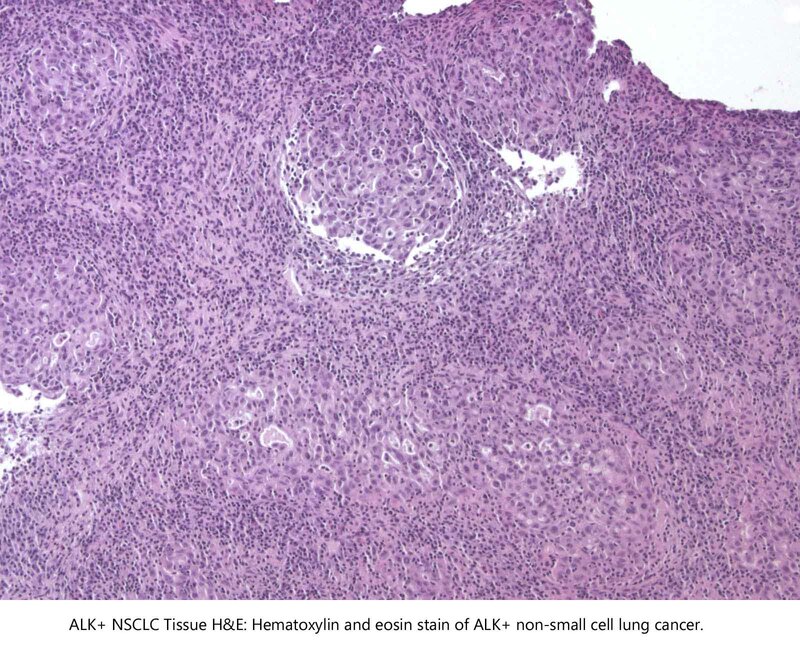 ALK Negative ALK negative tissue 4um section mounted on unstained slide. Available in sets of 2 or 5 slides. 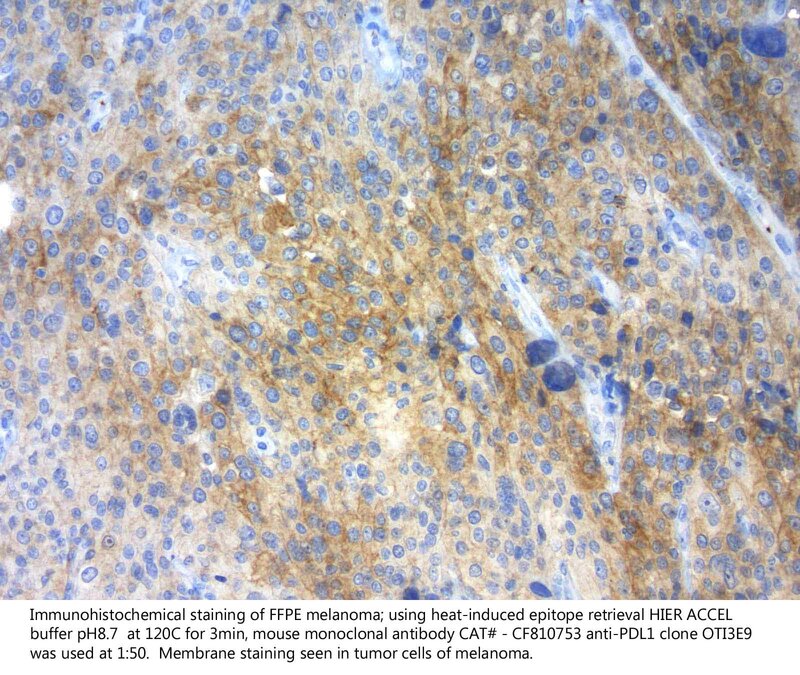 PD1 Positive PD1 positive tissue 4um section mounted on unstained slide. Available in sets of 2 or 5 slides. 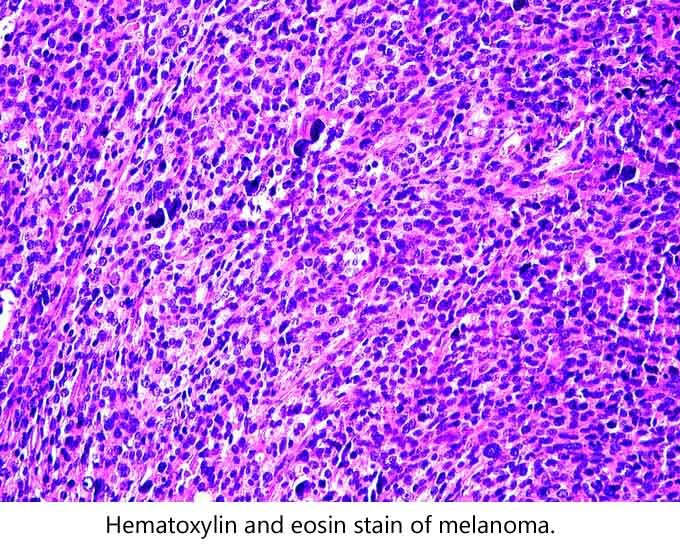 PD1 Negative PD1 negative tissue 4um section mounted on unstained slide. Available in sets of 2 or 5 slides. 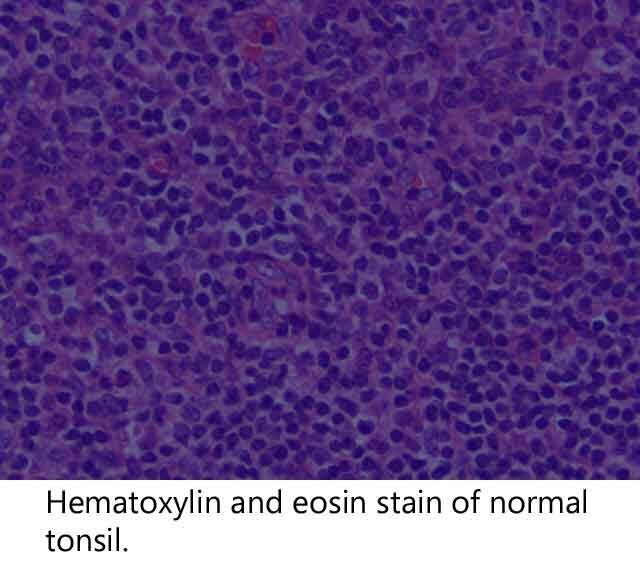 PDL1 Positive PDL1 positive tissue 4um section mounted on unstained slide. Available in sets of 2 or 5 slides. 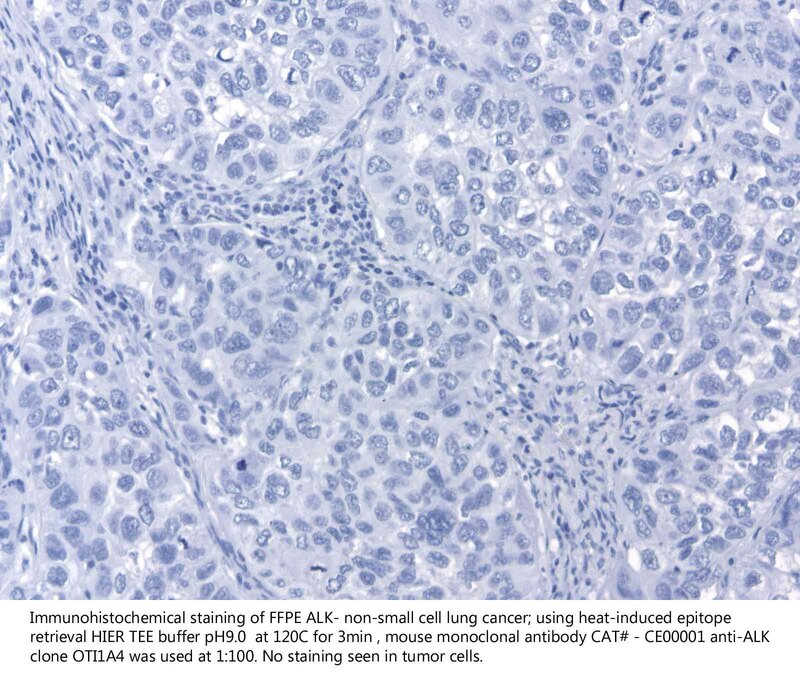 PDL1 Negative PDL1 negative tissue 4um section mounted on unstained slide. Available in sets of 2 or 5 slides.